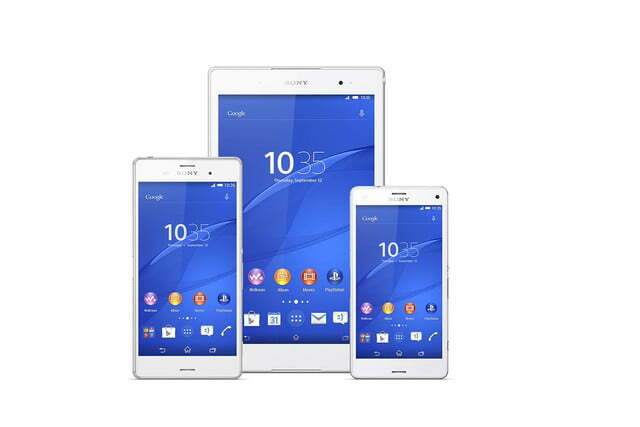 Sony unveiled three new smartphones at IFA 2014, two of which belong to its new Xperia Z3 device series. 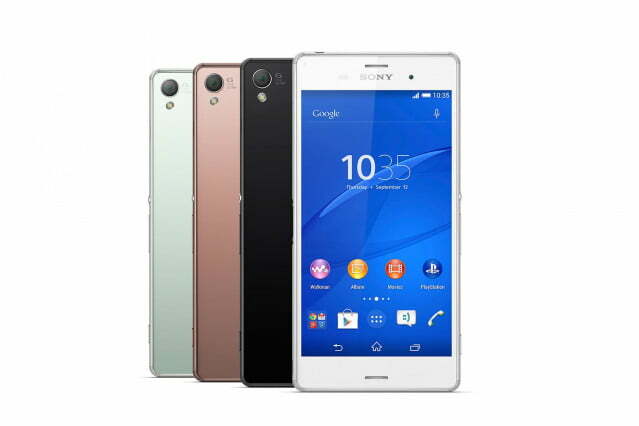 The company introduced the high-end Xperia Z3 smartphone and its mini-me version, the Xperia Z3 Compact, alongside the budget Xperia E3 smartphone. Here’s everything we know about Sony’s new smartphone line up, starting with the highlight of the press event: the Xperia Z3. Updated on 9-4-2014 by Simon Hill: Added some details about the PlayStation 4 compatibility, link to article on it, and pricing info. Sony’s Xperia Z3 is the upgraded version of the Xperia Z2 smartphone. The Z3 features a triluminos 5.2-inch screen with a resolution of 1,920 × 1,080 pixels. The new flagship is powered by a zippy 2.5-GHz Qualcomm Snapdragon 801 quad-core processor and 3GB of RAM. As expected, the Z3 runs Android 4.4.4 KitKat and will work on most cellular networks. The Z3 is slightly lighter and thinner than last year’s model, coming in at 146 × 72 × 7.3 millimeters and weighing just 152 grams. The phone is encased in aluminum and features lightly round edges, lessening the rectangular look of the handset. The Z3 will come in a series of colors, including black, white, copper, and silver green. The phone also has an IP65/68 dust and waterproof rating, making the Z3 durable in spite of drops, spills, and other accidents. Sony says the Z3 supports nano SIM or dual nano SIM cards on multiple networks. The phone will be available globally and in the U.S. market on T-Mobile’s network. It will be sold in the Uncarrier’s stores this fall. The Z3 comes in 16 and 32GB storage options, both of which can be expanded via MicroSD card up to 128GB. As with every Sony smartphone, the camera is also a big-ticket item. 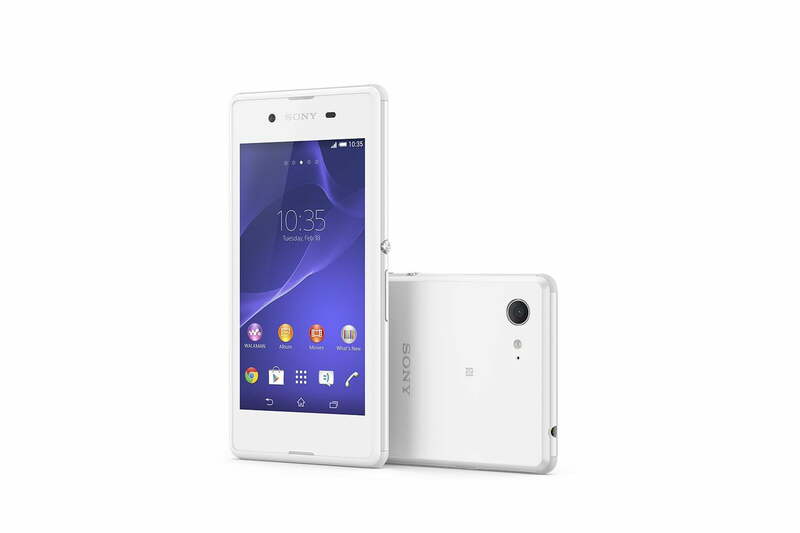 Sony gave the Z3 a 1/2.3-inch Exmor RS sensor camera complete with a 25-millimeter G lens. The camera features a 20.7-megapixel resolution and is capable of achieving ISO 12800 sensitivity, so as to take better pictures in low-light conditions. The camera also has 8× digital zoom, 4K video recording, and a minimum focal distance 120 millimeters. The front-facing camera is much less glamorous, but decent at 2.2 megapixels. Sony’s new flagship also supports high-res audio and noise cancelling technology, so you’ll be able to hear your music better through headphones. Gamers can also link up their PlayStation 4 console via Wi-Fi to take advantage of Sony’s Remote Play feature. That means you’ll be able to stream games from the PS4 to your smartphone screen, which could be ideal if someone is using the big TV, but you need a blast of gaming action. 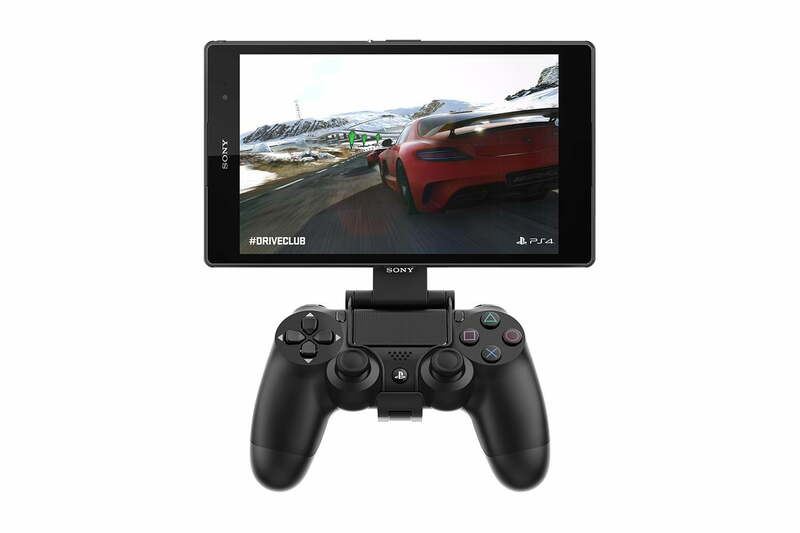 You’ll need to pair a DualShock 4 controller with your Xperia Z3 or Z3 Compact to get your game on. Sony is also offering a special Game Control Mount that attaches the Z3 or Z3 Compact to the controller. It’s all set to be available and up and running by November. Perhaps the best thing about the Z3 is its two-day battery life. Sony claims the phone can last up to 2 days on certain cellular networks, but has yet to test it out in the U.S. The Z3 comes with a 3,100mAh battery, which is quite large, especially for a 5.2-inch smartphone, but we’ll see how long it lasts in our tests. No price was mentioned, nor was a specific release date, but it’s available to pre-order on Sony’s UK website at £549. We’ll keep you updated. 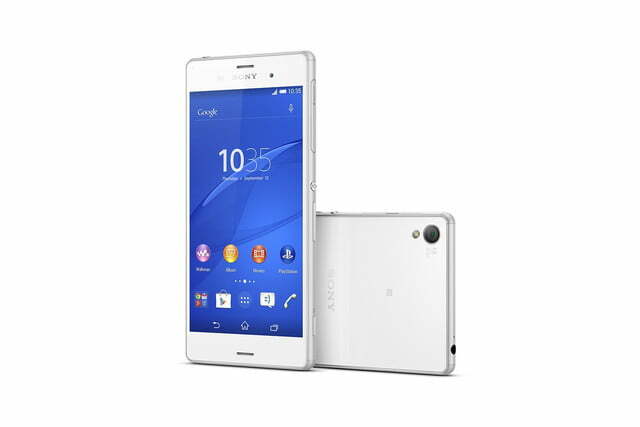 The Sony Xperia Z3 Compact has many of the same specs as the flagship Z3 smartphone detailed above. The Compact is simply smaller and has a lower-resolution screen. The Z3 Compact comes with a 4.6-inch, 720p screen, measures just 8.6 millimeters thick, and weighs 129 grams. It too, is thinner and lighter than the Z2 Compact and features the rounded edges of the larger Z3. Since it’s smaller and slightly less high-end, the Compact comes in brighter colors than the flagship, including orange, green, black, and white. Luckily, the Z3 Compact is powered by the same quad-core Snapdragon 801 processor as the Z3, but has 2GB of RAM instead of 3GB of RAM. 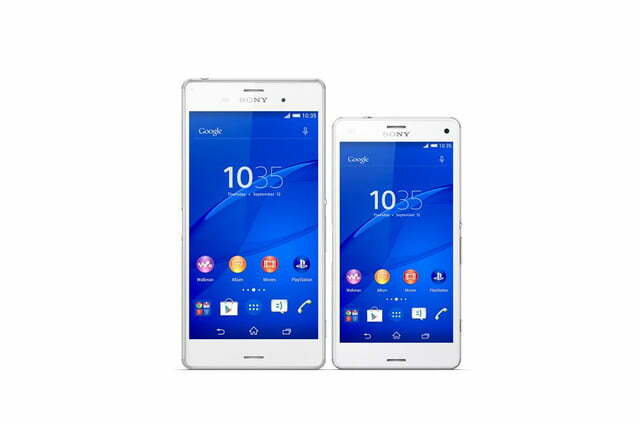 Most mini versions of flagship smartphones also compromise in terms of processing power, as well as screen resolution, but Sony’s Z3 Compact should be just as zippy and powerful as the full-size version. 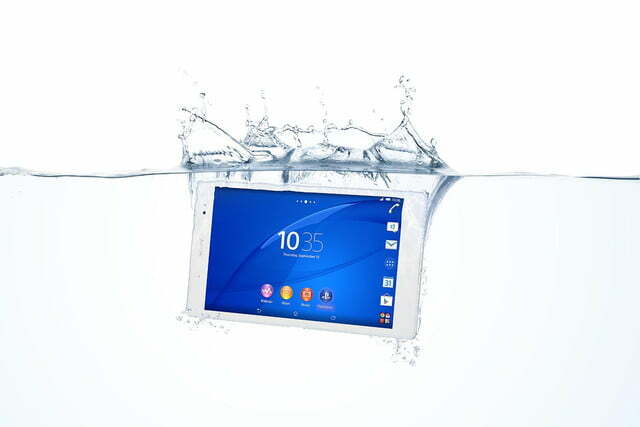 It also boasts 2 day battery life and the same dust and waterproof rating. The Compact has the same ultra-high-resolution camera as the flagship and it can record 4K video. Essentially, the main difference lies in the Compact’s size and screen resolution. Beyond that, the flagship and mini version are nearly identical. 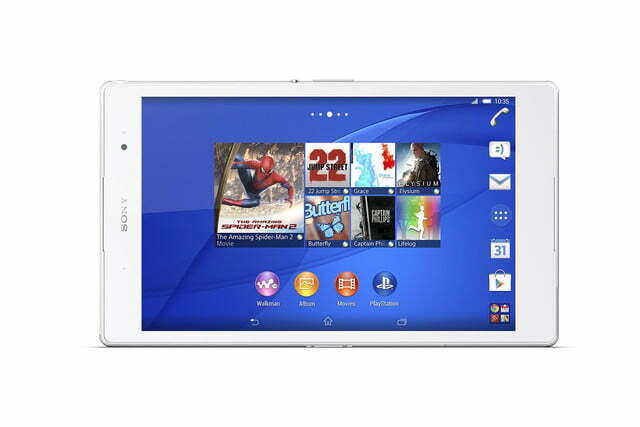 The Sony Xperia E3 is the only decidedly budget smartphone in the bunch. The E3 has a 4.5-inch IPS screen with a resolution of 854 × 480 pixels. The screen is made of tempered glass and has rather large bezels. The E3 is powered by a 1.2-GHz, quad-core Qualcomm Snapdragon 400 processor, alongside 1GB of RAM. The phone has just 4GB of memory available, but thankfully, that’s expandable with a MicroSD card up to 32GB. The budget phone has a 2330mAh battery onboard and offers dual SIM support. Sony may not have given the E3 the best camera ever, but the 5-megapixel back camera and VGA front-facing camera should do the job. 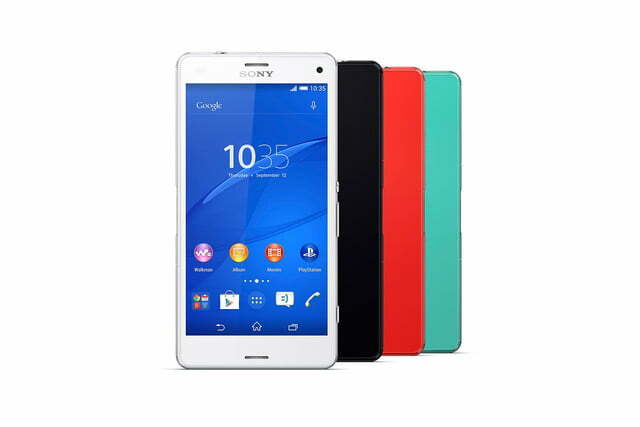 Sony will offer the Xperia E3 in white, black, lime, and copper color options when it arrive sin stores this fall. The phone will be available worldwide, but Sony si focusing on users in South and Central America, as well as India, rather than the United States or Europe.